1/2 x 7 x 4 1/2 in. "GATABLE RECTIFIYING SLICER" on solder side. 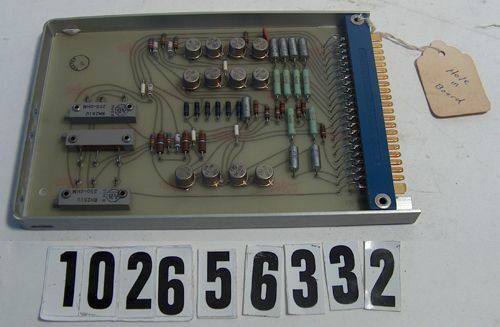 Has a paper tag attached with string reads "systems" and "hole in board".